"Alpha Anywhere has been an ideal enterprise development platform for us, and has become our system of record for all development work, including mobile apps. We're using Alpha Anywhere to create a company-wide system that works in multiple countries, runs on mobile devices or on the Web, and costs less and is more productive than any other tool we could have used." Al Reyami Construction Equipment Rental rents out a wide range of equipment including compressors, generators, portable cabins, containers and other construction equipment. It is based in the United Arab Emirates (UAE), and also operates in several other countries, including Saudi Arabia, Oman, Qatar, and India. 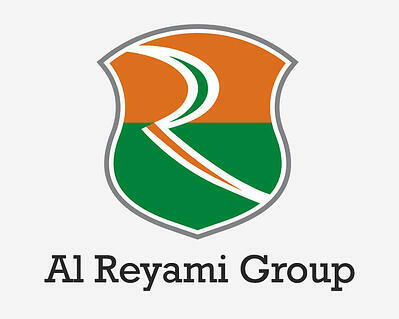 It is part of the Al Reyami group, a global conglomerate founded in 1994. Al Reyami Construction Equipment Rentals was using a Windows-based Enterprise Resource Planning (ERP) system built using Visual Basic 6. The backend was SQL Server. When the company opened offices in Qatar, Oman, and Saudi Arabia, it deployed the ERP system regionally. However, the reports created in the different offices could not be automatically combined. The UAE office had to manually create a single, standardized report from them. The company at times had to change the settings on its server. Whenever settings were reset, the ERP system required that all of the company's 50 Windows machine be reconfigured, or the machines would not be able to access the system. In addition, the client software was not compatible with Windows 8, so the machines could not be updated from Windows 7, causing potential security risks. "We knew we had to solve the problem," remembers Sajil Sidharthan, Al Reyami Construction's Equipment Rentals Systems Manager. "Everything took too much time, and we were constantly finding new problems. The only solution, we realized, was to build a new system." "The ability to write cross-platform applications was an important reason we chose it. We'll also be building mobile applications — and we plan to make use of its offline features as well." Sajil turned to Alpha Anywhere as the new enterprise development and deployment platform because it required less code than other tools, was easy to learn, and would let him build a powerful enterprise solution for both the Web and mobile devices. "Even though Alpha Anywhere is easy to use, it has very powerful features," he says. "You can build extremely sophisticated applications with it. The ability to write cross-platform applications was an important reason we chose it. We'll also be building mobile applications — and we plan to make use of its offline features as well." The Alpha Anywhere-created system, called B-Whizview, is the company's enterprise-wide system for invoicing, financial management, inventory, human resources, and more. Alpha Anywhere will be used to build future business-to-business and business-to-employee mobile applications. Fixed Asset for tracking assets and depreciation. This links to the financial management module. Human resource for payroll, leaves, and expense reports. This links to the financial management module. Inventory to track inventory. This links to the financial management module. Dashboard, which allows top management to view all charts and reports for each country. "Perhaps even more important than the cost savings we're realizing with Alpha Anywhere are its powerful enterprise platform features." Al Reyami Construction Equipment Rentals will see significant financial benefits from the Alpha Anywhere-created system. The company saved tens of thousands of dollars in development costs and software licensing costs by selecting Alpha Anywhere. Alpha Anywhere also allowed the company to build a system that requires fewer servers and saves on hardware costs. The system is currently in the final stages of deployment. According to Sajil, by using Alpha Anywhere, the company was able to develop the application two to three times faster than if it had used another method. "There were only 2 people involved in this development project," exaplins Sajil, "myself and Alpha consultant Kanishka Basak. Kanishka helped me learn the software — particularly the integration with Fusion Charts. The support and motivation of our CEO Mr.Harshavardhan was also very important. Without him we would not have been able to complete this project." "Perhaps even more important than the cost savings we're realizing with Alpha Anywhere are its powerful enterprise platform features," Sajil says. "We will be building a mobile app for sales executives and engineers. Sales executives will be able to log onto the system from anywhere, and see all the invoices for any customer, and will be able to print outstanding invoices without having to contact the accounts department. Engineers will be able to get all the information about any piece of equipment. They'll be able to scan an equipment code and get comprehensive information about its rental history and service details." In addition, reports no longer need to be manually created from reports from multiple countries. It can all be done from right within the Alpha Anywhere-created system. Sajil says that the system may save between 100 and 150 man-hours per month in just a single office. "Alpha Anywhere has helped us tremendously," Sajil says. "We expect to get even more benefits because we've only explored between 40% and 45% of what the software can do."